A very special loan features in the exhibition Nature, Camera, Action! The secrets of making incredible wildlife films at M Shed. 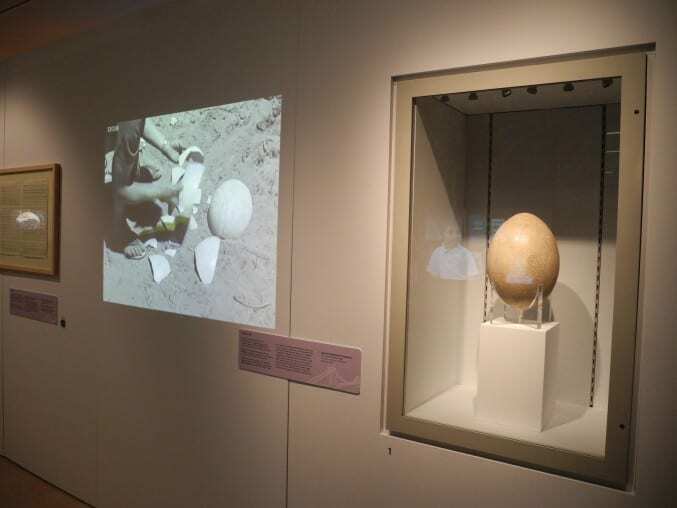 Sir David Attenborough, probably the best known and most widely respected wildlife presenter in the world, has lent us his rare Elephant Bird (Aepyornis) egg, a prized possession he’s owned since 1960. The egg was acquired during the making of ‘Zoo Quest to Madagascar’, which first aired in 1961. David sent messages out to local people asking for fragments of shell from the flightless Elephant Bird (aptly named, because they were huge – believed to stand more than three metres or 10 feet tall). Extinct since the 17th Century, it’s thought the birds were native only to the island of Madagascar. Pieces of bone and some fossilised eggs have been found, supporting medieval descriptions of the giant birds. Their eggs were about 160 times the volume of a hen’s egg, with a circumference of up to a metre and a height up to 13”. The one in the exhibition is around 12” tall. Almost as extraordinary as the egg itself is the story behind it. Faced with a pile of what could easily have been random scattered fragments, David Attenborough began piecing them together with film canister tape and found to his delight that they formed almost an entire egg. You can watch his report to see the egg taking shape. 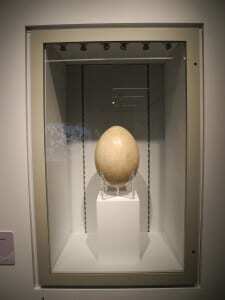 When he got back to the UK, the Natural History Museum professionally restored the egg for him. When you go to the exhibition, look closely and you’ll be able to make out some of the joins. The egg is one of 22 additions to the show, which is toured by the National Media Museum. The new items also includes a pair of special boots worn by producer Huw Cordey for filming in unique New Mexico caves, and a notebook with sketches by Alastair Fothergill made during filming for forthcoming series The Hunt. Nature, Camera, Action! 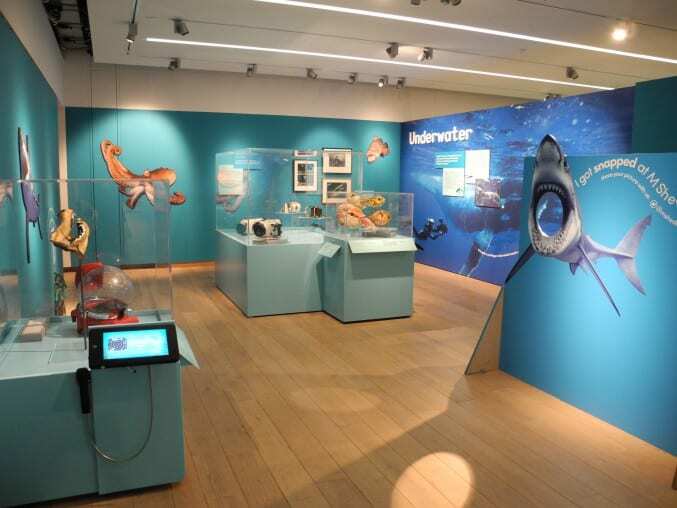 The secrets of making incredible wildlife films runs at M Shed until 1 November 2015.